Our 450+ members play a vital role in building our community and providing financial support to our programming. There's always something special happening at B!KE! School kids learn the rules of the road with Pedal Power! offered in partnership with GreenUp. Welcome to your community cycling hub. 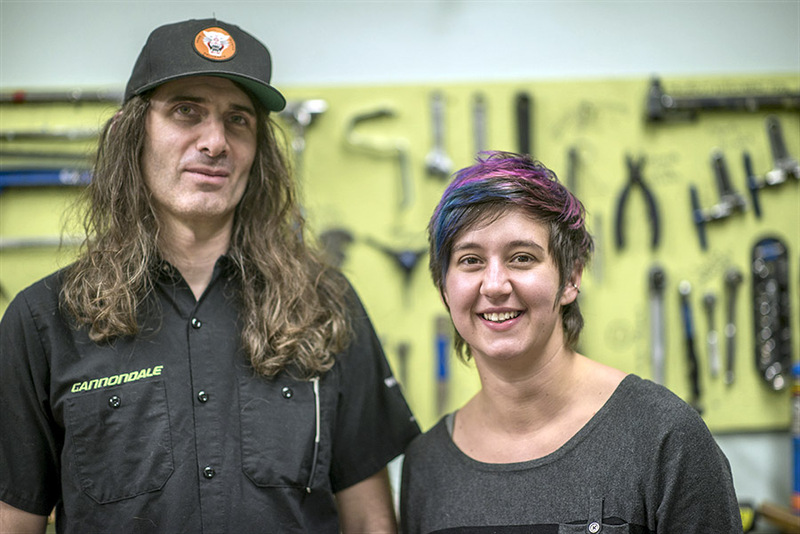 B!KE runs a supervised workshop space with the tools, parts, and expertise for bike repair. 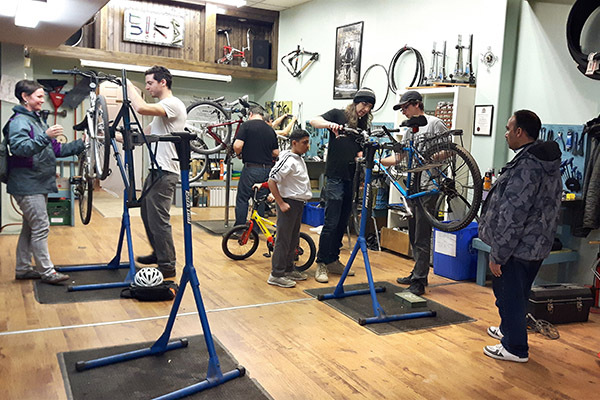 Drop-in during our Open Shop program to learn how to fix your bike. Membership is accessible: $35/year, or $7/hour, and gives you access to the welcoming and professionally-equipped shop space, our friendly volunteer teachers, and broad selection of used and basic new parts. We hope to see you soon! Visit our Contact page to send us an email or to find our location on Google maps. Volunteers are the backbone of B!KE. Their incredible generosity keeps us all afloat! If you are interested in volunteering, check out our volunteer page for details, give us a call at 705.775.7227, or drop by during Open Shop. To communicate with our board please contact our Chair Jackie Donaldson. 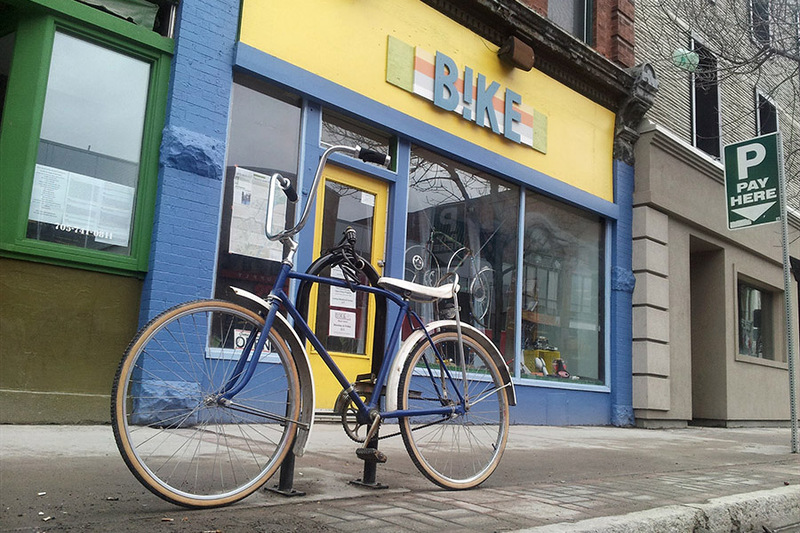 B!KE has a broad selection of basic and affordable used and new parts to keep you rolling. New parts: Bells, racks, lights, tubes, tires, patch kits, tire levers, cables and housing …and much more! Used parts are for sale to members only. We have an enormous collection of used parts from virtually every era of cycling! We always have refurbished bikes for sale at the shop. Typically we sell fully overhauled bicycles for $150-$350. We also do a small number of consignment sales, please contact Tegan if you are interested in selling a bicycle. In the quieter months, we occasionally have chance to post items on Kijiji, you can visit our page for current listings. I’ve got some bikes! Do you take donations? Please only drop off items during Open Shop hours. Donations left unlocked on the bike rack when we’re not around will definitely go back out into the community, but maybe not in the way you’d like (i.e., they’ll disappear real quick!). We accept all donated bikes, bikes in very poor condition will be scrapped by our volunteers but only after we salvage anything useful! Any bike we can salvage we will, getting more people riding for cheap is a big part of what we do! 1) Road bikes – old and new. 2) Cruisers – old especially. These have lots of weird parts and tire sizes that can come in handy for other projects 3) 80s/early 90s Mountain Bikes. Yes. We offer a small selection of used bicycles which have been totally overhauled and are ready to ride. Please come by the shop and have a look. Used bikes sold at B!KE are serviced to a high standard of care and purchasing a re-built bike gets you out riding fast! Purchasing a used bicycle directly supports the ongoing operation of B!KE. Less traditionally, we also we also carry a wide selection of donated bikes in various states of repair that are available for members only to purchase. Sold in as-is condition, these bikes become projects for members to re-build with the help of our mechanics (most of our as-is bikes are unrideable off the rack). We do not sell as-is bikes to non-members. Can I request an as-is bike be built up for me? Do you repair bikes for people? Nope, we only teach how to fix them. Our volunteers do not work on members’ bikes – they only advise and teach to the best of their ability. 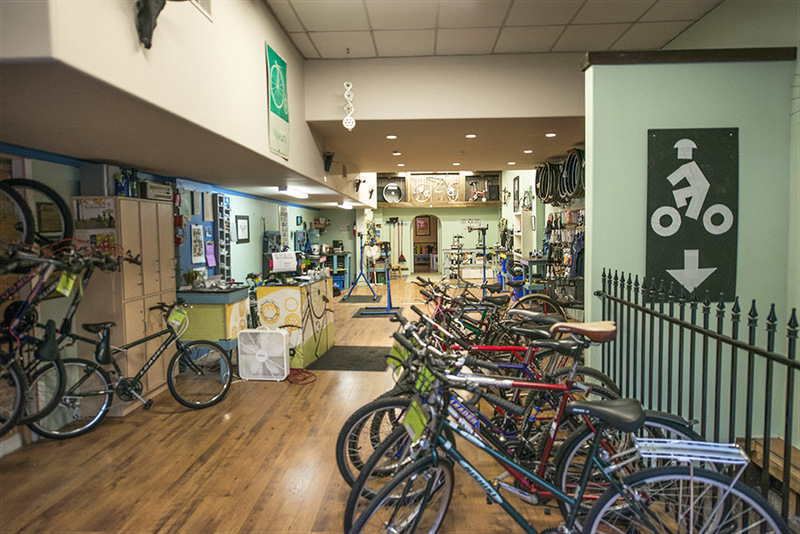 There are a few great bike shops in town that will fix your bike for you (Wild Rock Outfitters, Fontaine Source for Sports, Spokes ‘N’ Pedals). Can I trade in my bike/parts/whatever for something at the shop? No. We’re unable to support trading because of the potential of dealing in stolen goods. Is B!KE an activist group? Will I feel welcome if I’m not a Cycling Crusader? While we’re really excited about the big time resurgence in cycling and bike culture in the past few years, we’re not political group. We pride ourselves on being accessible to everyone, and just want to help folks feel more comfortable, empowered and confident using and caring for their bikes. What if I need a (insert fancy/rare/expensive bike part here) to fix my bike? 1) Replace it with something from our used parts selection. The bins have a pretty good selection of old/rare parts. 2) Replace it with something from our competitively priced new parts selection. You betcha! 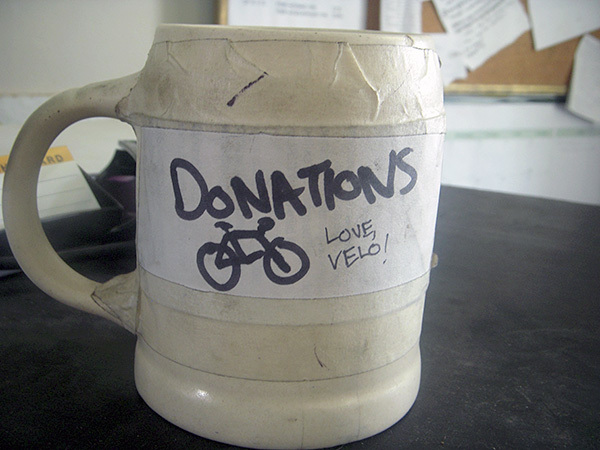 Since the largest group in our membership base are transportational cyclists, there is a demand for the shop to stay open in the chilly months. Granted, it gets a fair bit slower, so it’s actually a great time to get some one-on-one teaching time with the volunteers. If you’re riding in the winter, its also the most important part of the year to undertake regular maintenance on your bicycle. Over the years, we’ve had the pleasure of working with a number of organizations.